Stream the debut album from LA's Carols for Children. Try and tap your foot along to the time signatures on Carols for Children’s debut EP, A Couple Carols, and you’ll feel a bit like a dog chasing its own tail (assuming your dog doesn’t understand music theory). The LA trio’s stock-in-trade is math rock—a genre characterized by its unusual meter, which fans and critics deemed to sound mathematical. Regarding these “fluctuating rhythmic schemes,” as the band refers to them, songwriter Milo Talwani had the following to say: “[T]he thing that’s most important to me is that the rhythmic complexity (it’s not actually all that complex compared to music outside of 4/4 rock and pop contexts but whatever) is not from a bro-y, angular place, but to create sense of gentleness and flow.” This distinction is an important one: Talwani is attempting to distance themselves from the toxic masculinity that pervades music culture (as well as society at large). In the material they presented me with, they reiterate that the music is about, “being gentle and delicate and vulnerable and loving.” These themes are often coded as feminine—an asinine indictment and a reason I myself am at odds with traditional masculinity. Accordingly, gender is one of the central issues examined on A Couple Carols, which will be released on Pretty Records. The lyrics on “Easy” are the most abstract on the EP—perhaps to obfuscate the painful memories it must provoke. Talwani’s summation is the only writing that will do it justice: “'Easy' was written for a friend and fellow trans person who killed herself on her 21st birthday. She would never just say hi to anyone, it was always 'Hello, love.' We were told initially that it was just an attempt and that she was going to survive, and so I wrote the melody to sing to her in the hospital,” Talwani wrote. “We were told a couple days later that she had died so I never got the chance to. The last line, 'What’s the word for knowing you’ll say yes / Just because I asked?' is really important. She would have done anything for the people she loved and she helped so many people.” The EP closes out with “Ginger Rogers,” its poppiest tune. Talwani daydreams of being Ginger Rogers and, in second person, announces “and you’ll be Fred Astaire”—a reference to the on-screen romance between the two actors in Hollywood musicals. In Talwani’s fantasy, they'll dance and not worry about the stresses of life. Forty-seven seconds into the song, Richards lays down an animated, syncopated beat and Talwani changes the analogy so they are now Anastasia with the listener is Christian Grey. In each instance, Talwani is the female character, a further subversion of the constructs of gender. A Couple Carols introduces a band budding with talent. Talwani’s “dumb problems,” as they referred to the subject of their songs, are excellent fodder for complex, yet universal pop tunes. Each listen will further cement the belief that Talwani has a knack for songwriting that will only get sharper over time. This EP should tide us over until then. 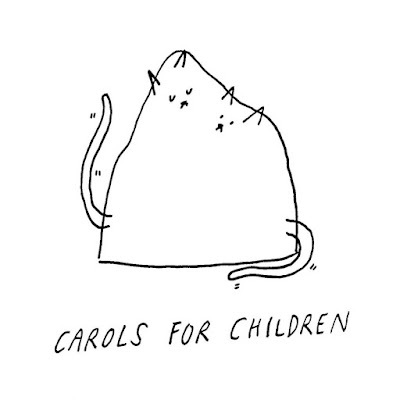 Listen to Carols for Children on bandcamp. Alex Wexelman is a professional music writer and procrastinator. His most prized possession is a book he got hand-signed by Patti Smith. Like his tweets here.